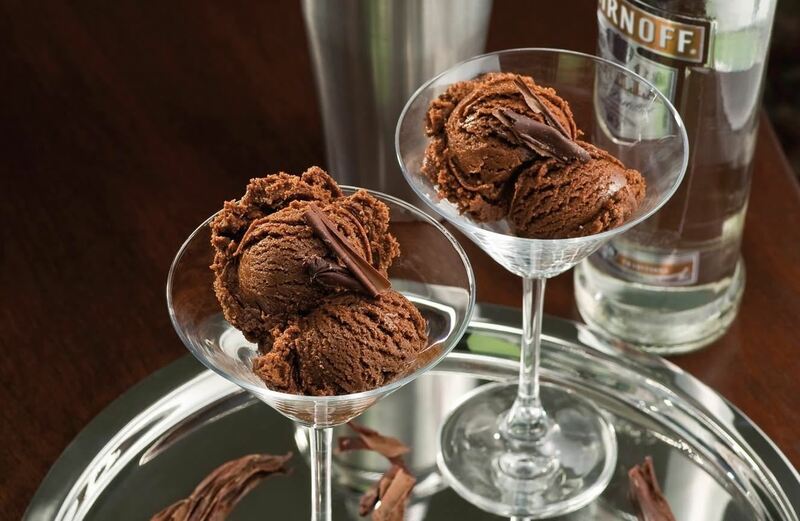 Perhaps the most frustrating quality of ice cream is exactly what makes it such a great summer treat: it's frozen. Pulling out a carton of tasty homemade ice cream can result in disappointment when the delicious dessert is so frozen you can't scoop any out. 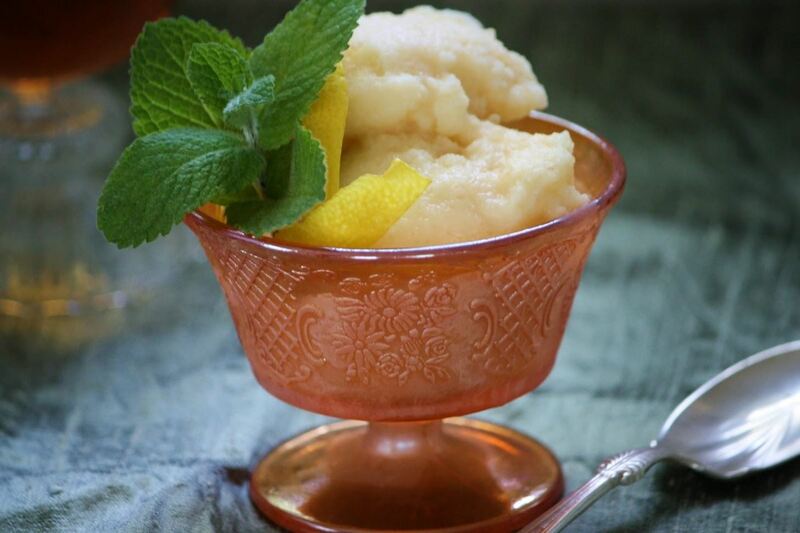 Some DIY orange sherbet with amaretto, made from an "Ice Cream Happy Hour" recipe. Image via What's Cooking in Your World? Cooking meat at high temperatures is a great way to remove any bacteria present. Yet there's more than bacteria hiding in your pork chops—turns out grilled meat also contains cancer-causing carcinogens. 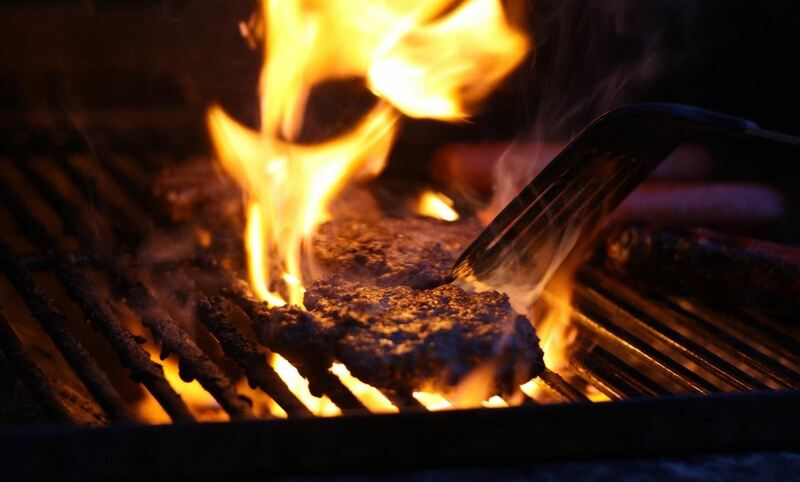 Chemistry professors and researchers at the University of Porto (Portugal) and Vigo (Spain) discovered that carcinogens called polycyclic aromatic hydrocarbons (PAHs) form while your meat is browning on the grill. However, reducing them is as easy as adding some beer to your marinade, preferably a dark one, as the study above notes. Be sure to learn exactly which types of beer are best at preventing PAHs, along with other foods and spices you can use if you hate beer. Cream, butter, and oils are wonderful ingredients, but they're also high in calories. If you're counting calories but want to keep lots of flavor in your food, try using wine in your recipes instead. 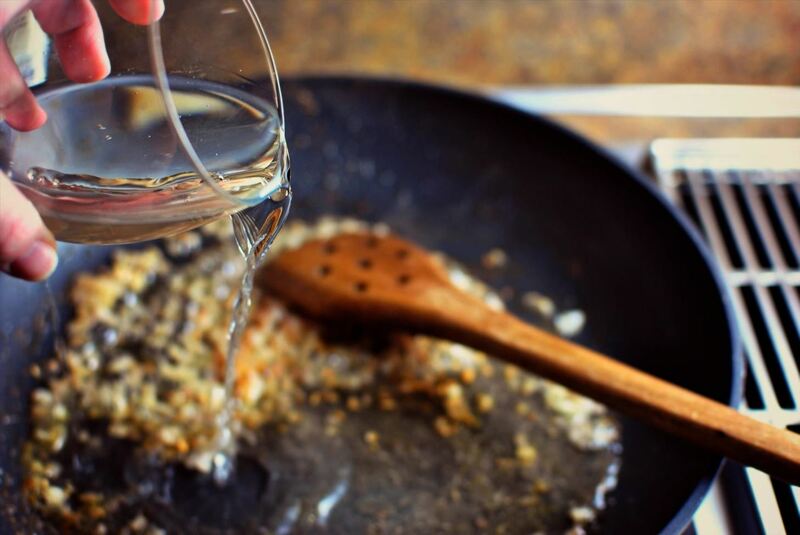 Sutter Health Hospital of Sacramento recommends roasting, poaching, and stir-frying with wine to keep your food tasty and heart-healthy at the same time. So does Elaine Magee, MPH, RD over at WebMD (she even recommends using wine to replace some of the fat in baked goods). 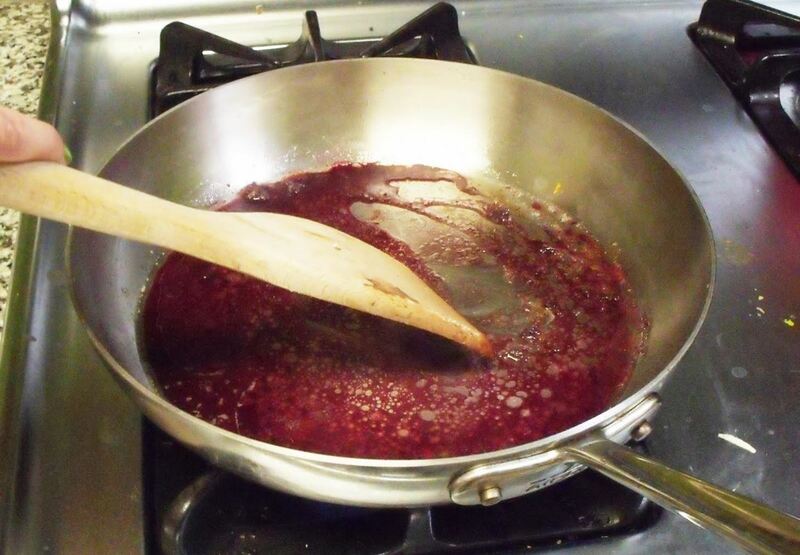 I've had great success using only wine and stock (or wine and water) to deglaze a pan for health-conscious friends. Deglazing a pan with port wine. Image via What Les Halles? 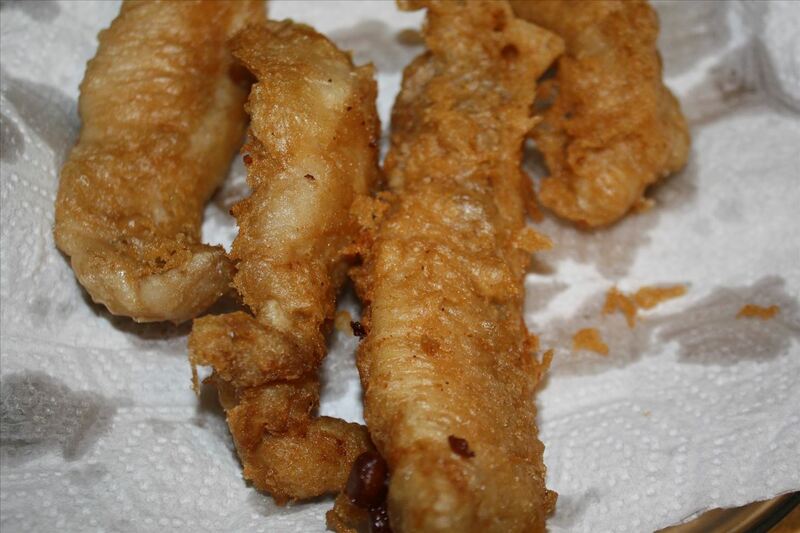 Ever wonder why beer-battered fish sticks are so much better than regular ones? It's all thanks to foam. Nathan Myhrvold and W. Wayt Gibbs, creators of the book Modernist Cuisine: The Art and Science of Cooking, explain that the foaming agents in beer create an excellent insulator, which prevent whatever's inside the batter from overcooking. That's especially important since frying temperatures reach 130° C (266° F). Just make sure you don't douse your fruit salad in a bottle of Pinot or you'll smell nothing but booze. If you're worried about the alcohol content of your cooked food, don't. Most of it burns off during cooking. 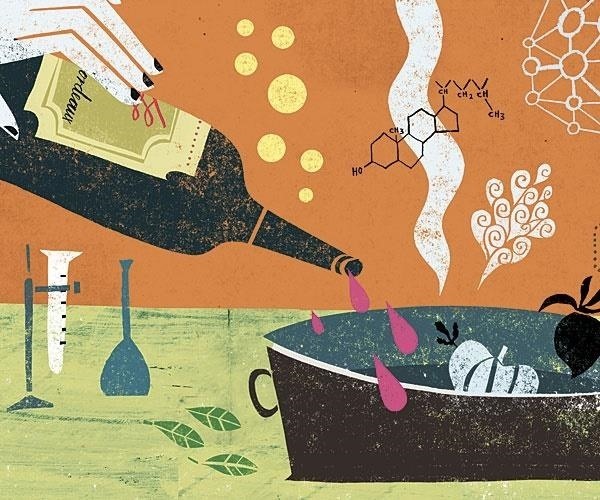 NPR explains that alcohol turns to steam around 78° C (174° F). Meanwhile, water does the same at 100° C (212° F), so bringing your food to a simmer means the booze will evaporate into thin air, leaving behind only delicious flavors.